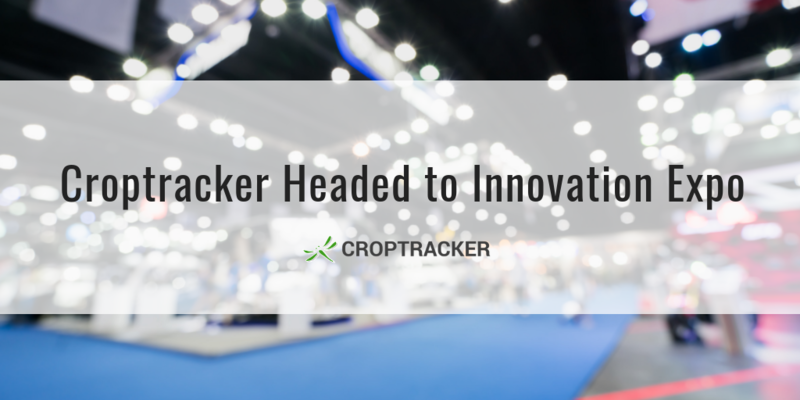 Croptracker is delighted to have been invited to Southern Ontario's first Innovation Expo, hosted by Innovation Guelph and Bioenterprise Corporation. The expo will showcase over 100 companies whose innovative projects were supported by Innovation Guelph and Bioenterprise Corporation's Federal seed funding program. 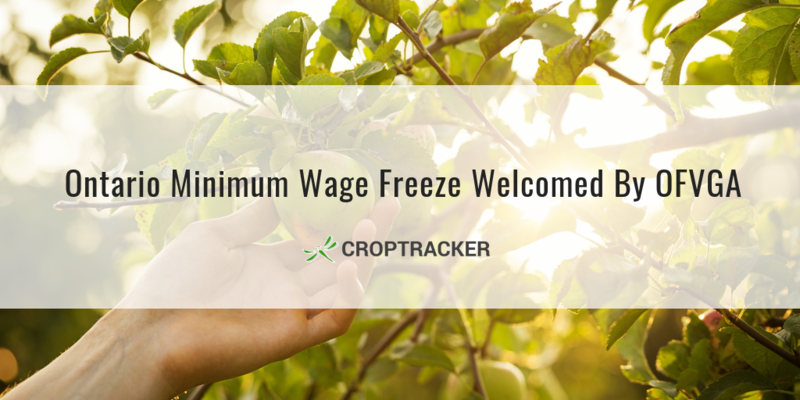 The Ontario Fruit & Vegetable Growers' Association (OFVGA) have expressed relief at the announcement made last week that the provincial minimum wage will be capped at $14/hour until 2020. Agricultural damage from this month's Hurricane Michael is predicted to top $1.3 billion, with Florida and Georgia bearing the brunt of the losses. Just a month ago, Hurricane Florence caused an estimated $1.1 billion in damage in North Carolina and an estimated $125 million in South Carolina. While the dollar figures alone are tragic, there is also the unquantifiable human impact. 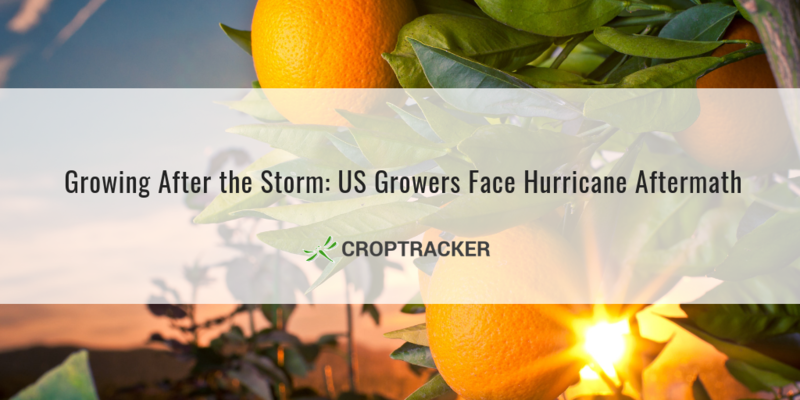 2017's Hurricane Irma - which caused $2.5 billion in damage to Florida's agriculture industry - caused several citrus and tomato growers to shut down operations. Among them was one of the state's oldest tomato-growing families, Big Red Tomato. Naturally, as this year's vicious Atlantic Hurricane Season continues to rage, there are concerns that 2018's growing season may be the last for more growers. 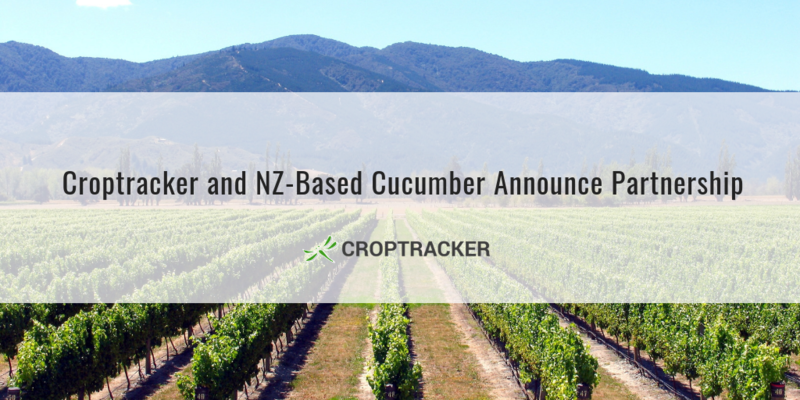 Croptracker is pleased to announce its upcoming partnership with New Zealand-based digital technology company Cucumber Ltd, with offices in Tauranga, Bay of Plenty.